Background: Laparoscopy-assisted total gastrectomy (LATG) is not widely used for the treatment of gastric cancer located in the upper or middle third of the stomach. 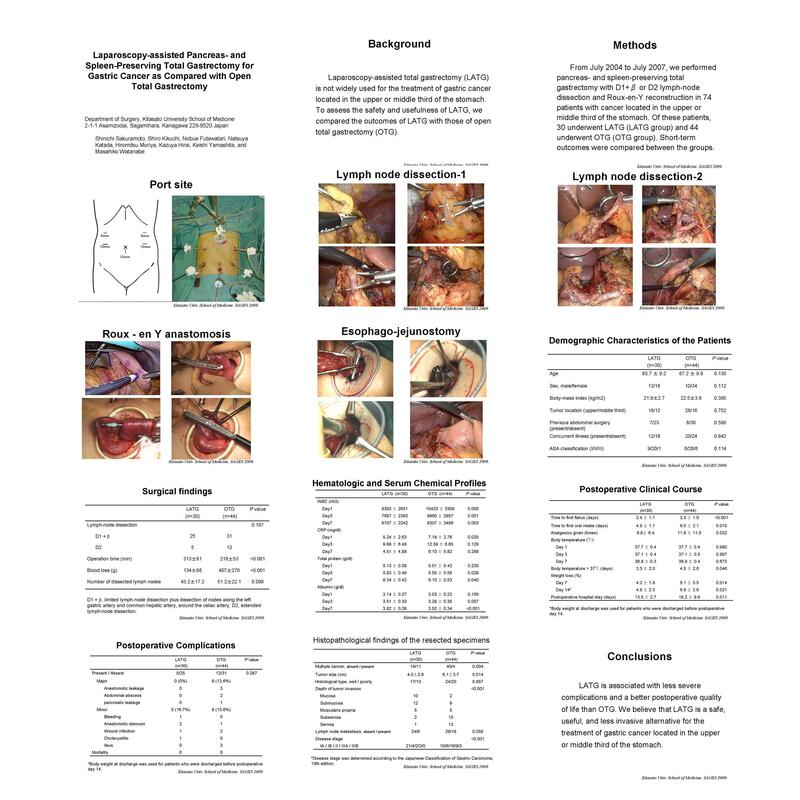 To assess the safety and usefulness of LATG, we compared the outcomes of LATG with those of open total gastrectomy (OTG). Methods: From July 2004 to July 2007, we performed pancreas- and spleen-preserving total gastrectomy with D1+ƒÀ or D2 lymph-node dissection and Roux-en-Y reconstruction in 74 patients with cancer located in the upper or middle third of the stomach. Of these patients, 30 underwent LATG (LATG group) and 44 underwent OTG (OTG group). Short-term outcomes were compared between the groups.